Billionaire real-estate mogul Donald Trump, who was known to Americans as a celebrity businessman for decades before his presidential run, has been named-dropped in hip-hop lyrics for decades. And like Hillary Clinton, who has also been a go-to reference, Trump is inserted into lyrics to symbolize status, wealth and power. 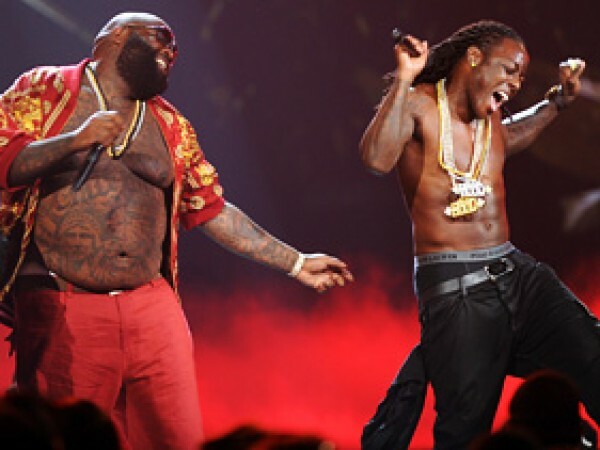 He is mentioned by rappers like Lil Wayne, Kanye West, T.I., Gucci Mane, Nelly, Young Jeezy, Ludacris, Meek Mill, Big Sean, P Diddy, among others, and some have brought him up in more than one track. “Richest n—- in my hood: call me Donald Trump/ The type that count my money while I smoke a blunt,” from Young Jeezy’s “Trump,” featuring Birdman. 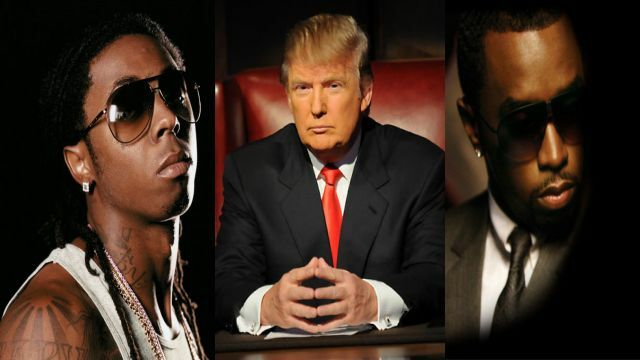 The Republican presidential candidate is referenced largely in the same way across the board and what we learn about him from more than 40 hip-hop tracks is consistent: Donald Trump is rich and he can do whatever he wants. And so far, this just might be his greatest political asset. And this, in many ways, has been a dominant strength of the Trump campaign and is often cited by Trump supporters as a favorable quality. Trump supporter Susan DeLemus says that Trump’s wealth is a major asset to his campaign. Chen said that Clinton, who has also been questioned about her ability to relate to the average American, is in a similar position. Meanwhile, the Trump campaign announced in a statement that the billionaire’s “net worth is in excess of TEN BILLION DOLLARS.” That figure is far higher than the net worth of Clinton, Jeb Bush and Romney combined. “I’ll tell you, with Gov. Romney there were months and months and attacks from President Obama’s campaign about his success and it wasn’t just that campaign. It was Newt Gingrich, Perry and others,” Chen said. While candidates are often criticized for downplaying their wealth, Trump has been accused by some of exaggerating his fortune. Therefore, the “he’s too rich” line of attack that wealthy candidates often have to reckon with, is a difficult one to manage when it comes to Trump. When the song came out Trump threatened to sue the rapper, whom he refers to consistently as “Little Mac Miller” on Twitter, for using his name without permission. 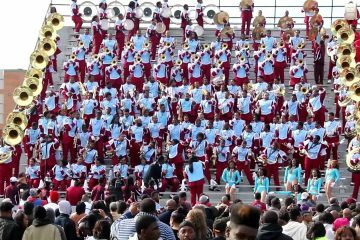 However, Trump also couldn’t help himself from tracking how many plays the song has on YouTube and occasionally, boasting about it on social media. And most recently, in an interview with The Hill last month, Trump ended the interview by playing Miller’s hit, calling it a “great song” and boasting that it had gotten “almost a hundred million hits.” Since then, it has gained almost a million more. Miller’s “Donald Trump” hails Trump’s “I’m really rich” attitude, and to some voters, Trump’s wealth has actually made them trust him more. “Some people with money are snotty and aloof and some people with money are a little bit more realistic,’ DeLemus said. “[Trump] is genuine … the way he greets people, the way he connects with people on a one-on-one basis, as well as the entire crowd,” citing his “wealth” and his “personality” as key assets. And when asked whether she was bothered by Trump attending a fundraiser at the home of Ernie Mock last week, where guests were charged $100 a head and asked to make checks payable to Donald J. Trump for President, Inc., DeLemus said that she is not bothered. 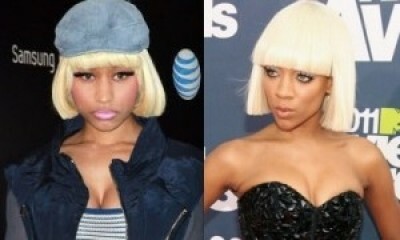 Lil Mama calls Nicki copycat: Publicity Stunt or Delusional?